Is there any work around here? We also found out that the same pattern is actually used in the examples from the Force.com Apex Code Developer's Guide and the APEX Workbook. See https://developer.salesforce.com/docs/atlas.en-us.apex_workbook.meta/apex_workbook/apex_testing_1.htm and https://developer.salesforce.com/docs/atlas.en-us.apexcode.meta/apexcode/apex_testing_utility_classes.htm. Does this mean that we also have to create test classes for those test helper methods? I'm trying to delete a custom object via the SOAP API. All I can find is info on deleting the records in the object, but not the object itself. I'd like to permanently delete the object as well. I tried the delete method (http://www.salesforce.com/us/developer/docs/api/Content/sforce_api_calls_delete.htm) but this seems to be for deleting records; when I make the call I get the error "MALFORMED_ID". I'm passing in the custom object name (ending in __c), but when I describe the object I don't see an id associated with the object. I can also confirm that "deletable" is true for this object. Can someone point me in the right direction? The field comes up as null even though it's populated. It's a checkbox. What am I doing wrong? Potential Apex Code Bug: NullPointerException on simple if statement checking a boolean variable. The line of code this points to is a line that just contains "else", nothing else. This error, and several others in my unit tests (some pointing to different lines) disappears. I can change back and forth to reproduce that issue. As far as apex code is concerned, both of those statements should be evaluated exactly the same. Even if the rowChanged variable was null it would still evaluate to false in an if check, not generate an exception. Unfortunately, there realy isn't a controller or class that inserts Leads, which is where the code detailed above would be inserted at. Instead, we are using a third party vendor that has set up web pages which then push the form information and create a Lead. This doesn't appear to be working though. Whenever Leads come in, they don't trigger the rules. Any help would be greatly appreciated. sObject lookup based on a field from a second sObject. I am very new to Apex so please forgive me if this is a stupid question. I have 2 custom salesforce objects. s1 and s2. s2 has a field that is unique to both it and s1. It is called identifier. I am creating a trigger that will update the fields on s2 when s1 is updated. What I cannot figure out how to do is inside the trigger apex to find the id of s2 based on the identifier field of s1. Define & Insert Queues in Apex Triggers & Test Classes? What is the proper method to define and insert a Queue via an Apex Trigger or Test Class? I'm good with standard & custom sObjects and the like, but I've not been able to find any clear documentation for inserting queues. So, can someone tell me what I've missed, or simply provide or direct me to a clear explanation of how to define and insert a Queue via a Trigger or Test Class? I am new to Apex Coding. Besides an unmanaged Clone List App and many Managed Apps , my Salesforce Org does not have any custom Apex Code in it. I know how to fix this error (change validation rules on my Dupe Catcher App Temporarily. This "quick fix" works for deploying my code, but what about when my Apex Code stays in production. If new validation rules, either from DupeCatcher or for Contacts, Accounts etc are put into place after my code in deployed in production , this will break my test data. What are the implications of test data/classes/methods breaking in production? I know I won't be able to deploy new code, but is there anything else that happens, particulary to the code that the test method/class/data was written for? Will test methods that are broken break the classes they cover? If you were just begining Apex Development in your organization, what would you do differently? How can Apex Code break in production? How can I prevent this? //this one will allow some flexibility in changing field names as per requirement. My Leads have a validation rule such that once someone views a Lead, they can't leave the status as "Open" (as in if the Status is "Open" and the Creation DateTime is not the current date time, then trigger an error message). Now, we are using the Web-to-Lead to pump questions from the website into SFDC directly. The Web-to-Lead basically writes the contact information and their query into Leads (queries are written to a non visible field called " QA"). I wrote a trigger executing on "After insert" such that a Task will be created, the QA from Lead will be copied into the Comments in the Task and then the QA field will be cleared. My problem starts here. The validation rule doesn't allow me to save the "QA" as blank because the status is Open. Is there a way to bypass this validation rule just for this scenario? Or is there a better way? I could post all the usual HR buzzwords here, but being on the tech side I can get away without doing that. Besides, who reads those things? Have you ever seen someone post a job description that does not describe the company as the best place to work, the perfect team, and as close to utopia as can exist on earth (if you're just the right candidate)? So what can I tell you? Obviously, we're crazy enough to let a tech guy post a job listing (though who knows if they'll ever let me do it again). I can also tell you that you'll be working with some really advanced products on the platform - and I'd argue that it's a lot more fun to support customer deployments of a product than ordinary consulting work, or being limited to just one org. Force.com IDE failure deploying to Spring 13? Has anyone seen this or know of a workaround? Winter 13 bug or breaking change - No VF pages on page layouts with clickjack protection? Currently Winter 13 ClickJack protection prevents use of VisualForce pages on page layouts. Is this a bug or a change? Add it to a lead page layout. I read the info in the release notes - does this really mean that enabling this protection prevents all use of VisualForce pages on a page layout? That would be a huge breaking change for which there is no workaround. Has anyone been able to deploy code from a dev org to a Winter 13 sandbox succesfully? I'm getting timeout errors after just a few seconds. Winter 13 preview bug with log levels? Anyone else seeing this? Just wondering if others are seeing this, or if I just got lucky? Bug - Eclipse IDE can't see or deploy dashboards? 2. If you add them manually by editing package.xml, you can read the Dashboard xml by refreshing from the server, but you can't edit, or save changes or deploy. If you look at the force.com properties for the dashboards, it shows them as type Unknown, belonging to a package named Dashboards. I'm pretty sure this worked on earlier versions of the IDE, but I'm not sure if the latest (24) was the one that broke it. Has anyone seen this, or have any suggestions? Apex Test Execution considered a DOS attack? Apex Test Execution in Spring runs a bunch of tests at once (as compared to winter when it only ran 3 or 4 at a time). I already logged a case to address a problem of sporadic limit exceptions occuring during Apex Test Execution. "To protect all customers from excessive usage and Denial of Service attacks, we limit the number of long-running requests that are processed at the same time by an organization. Your request has been denied because this limit has been exceeded by your organization. Please try your request again later. " It looks like SFDC isn't excluding those tests from whatever limits it uses to detect a DOS attack. Our application has about 130 unit tests in 25 classes - some include bulk testing and complex scenarios - so they can take a while to run even individually. Apex Test Execution on Spring Preview - breaking change? One of the changes I've noticed with Spring is that Apex test execution now tries to run all selected tests as well instead of queuing most of them and actually running about two at a time. As a result (I believe), I find that I'm getting a lot of "Request Limit Exceeded" failures. They seem to be fairly sporadic and common - and all of the tests pass without problem when run standalone (the problem only occurs when using Apex test execution, and does not occur on Winter 12). We have about 130 unit tests in about 30 classes - and many of the tests are complex and time consuming (bulk-tests, etc). Has anyone else experienced this? Is it a known issue? Spring 12 preview breaking change - has anyone else seen this? Map key null not found in map. There is a workaround - to put the lookup in an OutputText tag inside of the column instead of using the Value attribute. But I figure someone should know about this bug as well. The lead status is NOT set to the conversion lead status when you examine the lead.status in the Trigger.New collection. However, if you query the same lead object during the trigger, the lead status HAS been updated to the conversion status. I'm using an After Update trigger on Lead to check for lead conversion. At that point I want to look at the lead status. I was expecting the lead status to match the "conversion status" specified on the lead conversion page by the user. But at that point it in time (during the after update trigger) it still contains the original status value. There is no other trigger being raised on the lead (that I can see in the debug logs) - yet when I do a report later on converted leads, the lead status does match the one specified on the lead conversion page. 1. Is the lead status field actually being updated? 2. If so, when is it being updated, and what can I trigger on to look at it? Possible breaking change in Winter 11 on Visual Force CampaignMember edit? Ok - here's something that still works on a Summer 10 developer system, but isn't working today on a Winter 11 sandbox. I'm pretty sure it worked last week. Create custom field named Test on the CampaignMember object. Data type string, any length. Error: j_id0:cmform:j_id1:j_id5:j_id6: An error occurred when processing your submitted information. I'm pretty sure there are no security issues here - everything to repro was done under a system admin account. I've done a lot of experimenting with different fields - some standard fields cause the error, some don't. 2. I would love to hear if anyone else can reproduce this on a Winter 11 instance. Please take a look at the screenshot and tell me what the Duration column unit of measure is in. 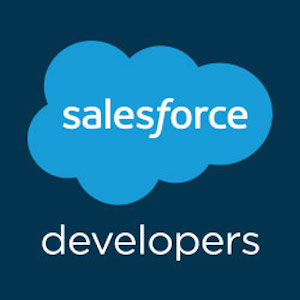 I am trying to help answer this question (https://developer.salesforce.com/forums/#!/feedtype=SINGLE_QUESTION_DETAIL&dc=General_Development&criteria=ALLQUESTIONS&id=906F0000000MK4kIAG" target="_blank)so I am looking at the performance tree data for the guy. And the CPU limit shows it is over the limit as soon as it hits my package. I am suffering with Salesforce apex LimitException issue. I am fetching thousands of records from few objects and putting it into the collection like Map. Now I have a requirement to generate JSON for same records which will be used for mobile devices to download data from salesforce. When I tried to serialize those records by using System.JSON.Serialize() method; it is generating a huge JSON string and I am getting System.LimitException error because there will be more memory required than available space. I tried to catch that issue using try/catch block but here is a reference available which says that System.LimitException can’t be caught by Catch block. I know that we can check heap size limit through Limits.getHeapSize() method. But is there any work around so that I can handle this issue from apex side. A code sample or some reference in this regard would be highly appreciated. I would like some help on a trigger and apex class i am working on. Below is the code. It occurs when i try to submit the survey. But above ternary expression always gives 'NA'. the above code is working fine, but it is not working by using ternary operator. Anyone explain me the why it is not working. We run several batch and scheduled jobs daily. Earlier I used to have two seperate classes - one that implements Database.Batchable and another class that implements the schedulable interface. Then I run the scheduled job from the Dev console. I combined both the above classes into a single class that implements both the interfaces. The code compiled and has been running batch jobs daily. But every once in a while the job gets aborted. However when I run the same job manually (i.e. go to the Dev console and run) it runs OK. Did any one else have the same issue. I contacted Salesforce support and their feedback was that the SOQL query in the Start function is timing out. They opened up the SOQL timeout limits and the job continued working for some time (~90 days) and I now see the job aborting every once in a while. Any one tried the same above and seen any issues. I have an Apex Trigger that excutes whenever a Product is (Inserted/Edited/Deleted) from OpportunityLineItem. The trigger needs to check a picklist value from a custom picklist in Opportunity Object. The code in the trigger will execute if there is matching value, else do nothing. I have the trigger written as follows. I'm not getting any error, the trigger excutes the desired code without checking the IF Condition. // Query the AsyncApexJob object to retrieve the current job's information. // Send an email to the Apex job's submitter notifying of job completion. Salesforce.com Internal error in Batch apex.does anyone have an idea on this? I am trying to merge two contacts. Class is using the keyword "without sharing". So the the class is running in system admin mode. I have checked the system admin profie, the profile is having all permissions(DELETE contact, MODIFY ALL DATA on contact). Can some one please suggest me why this error is coming?. Urgent Please. After looking into the code I changed it to the code below and it worked fine for this user. This brings up a larger question for me. Through all of my years of programming I have been told that matching things on straight text is dangerous and to use IDs whenver possible. In Salesforce, however, this seems to be used in criteria for searches, rules, exceptions, etc.and is almost the preffered way of doign things. So as our company moves more into international markets I have been told that Translation Workbench is the way to go for multi-Lingual support. I don't know much about this product, but I wanted to see if this will solve all our problems in all the areas of concern (inside APEX triggers, criteria for rules, etc.) or if there are any large problems that still have not been solved with this option. Although this is available in the UI, is the field name not available for use in a SOQL statement yet, or am I just missing something simple? I checked few forums, but hardly got anything online.